In the age of smartphones, it seems the average wall clock and alarm clock have floated to the wayside. After all, your phone has a variety of functions, including an alarm feature, a stopwatch, and a timer. This universal tool has streamlined our time keeping in a variety of ways. However, it’s essential that wall clocks, alarm clocks, and network clocks are still used, especially in the workplace. Here’s how an NTP clock will beat your smartphone every time. Smartphones have become one of the most prominent distractions in the workplace. If your employees consistently check their smartphone to keep track of the time, they’re opening up a world of apps, messages, and other distractions every time they turn to their screen. This can decrease productivity in the workplace and create an inefficient environment in the long run. On top of that, some smartphones may display the wrong time. This becomes a problem if multiple members of your business are a couple of minutes late to a meeting or fail to submit a timely piece of information on schedule. 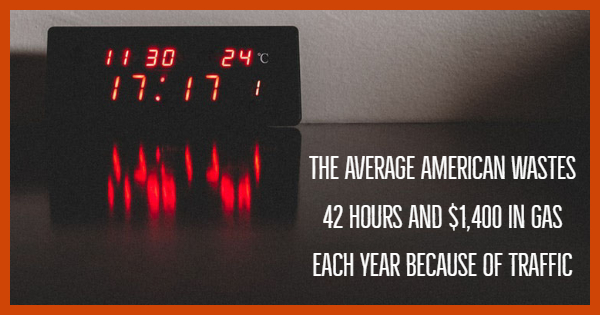 Relying on NTP clocks will ascertain that everyone in your office runs on the same schedule. Your wifi digital clock won’t promote distractions and offer the best in GPS network time servers. Ditch the cell phone and rely on the time clock server your company can trust to get the job done right. Did you know that switching back to an alarm clock is better for your health? That’s right: your cell phone emits blue light at night which can keep you awake. On top of that, the countless distractions offered by your cell phone can hinder your ability to fall asleep in the first place. There are countless research articles on the negative effects your smartphone can have on your psychological and physical wellbeing if you use it before bed. You should practice avoiding screens for at least an hour before bed each night, including your cell phone. It’s no wonder Americans waste more than 42 hours each year in traffic — it’s impossible to get to work on time if you’re exhausted and late. By switching to a wifi digital clock, you’re guaranteeing that you’ll wake up well-rested and at the appropriate time. When your business wants the best in NTP clock servers, rely on the network clock experts: with Time Machines, we work hard to keep your company running efficiently. Contact us today for more information.